Logan Stein made it official last week – he’s officially a member of the Ferris State Bulldogs. 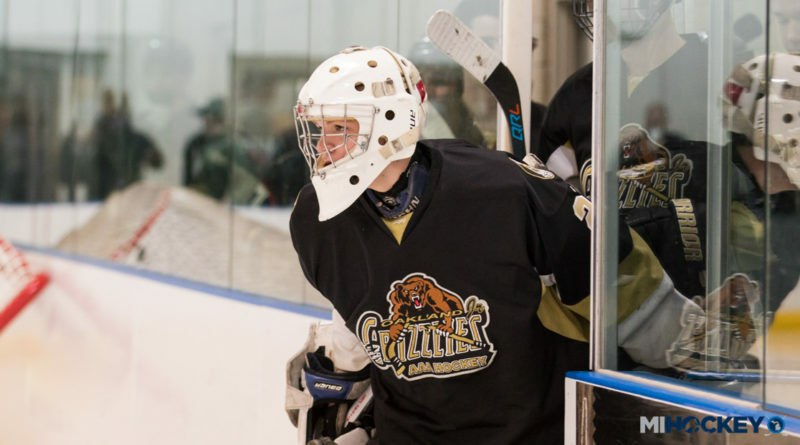 The Oakland Jr. Grizzlies alum – he moved from Georgia to Michigan to suit up for the HPHL program during the 2016-17 season – signed his National Letter of Intent to join Bob Daniels’ program in Big Rapids. The future Bulldog played for the TPH Thunder before making the move to the Mitten State. These days, he’s been suiting up for the Waterloo Black Hawks of the USHL. In seven appearances so far, he holds a 2.82 goals-against average. “I can’t wait until I arrive on campus in 2020, but right now I am focused on having a successful year with the Black Hawks,” Stein said.